Home » Kitchen » Kick It Up A Notch…. Are you tired of those ugly old floors? 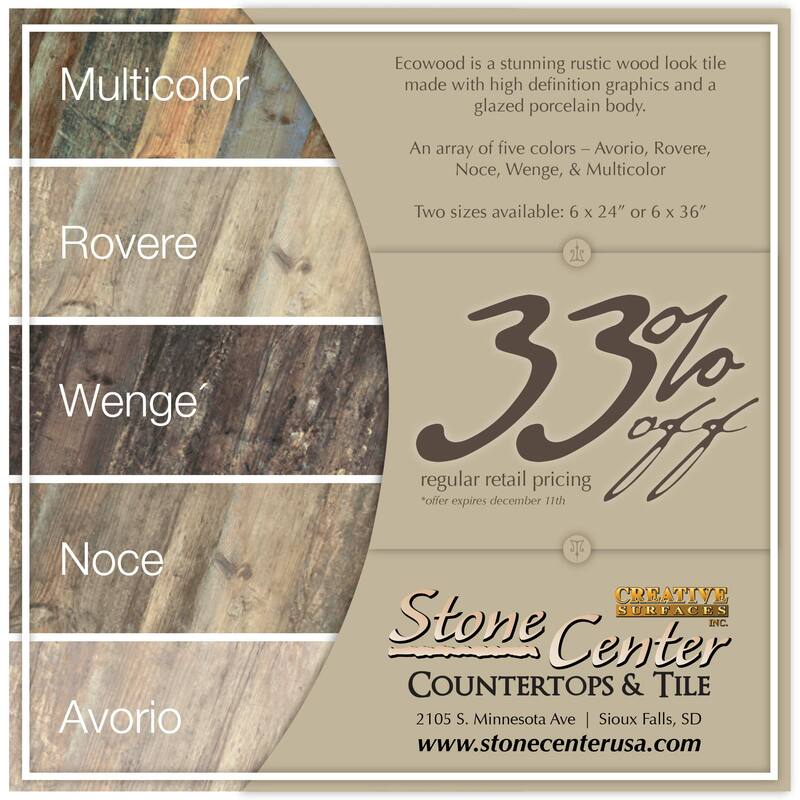 Are you remodeling and need some new flooring? Kick it up a notch! We’ve got something you just HAVE to see. Ecowood‘s unique collection combines the beauty of the material with practicality, giving the floor a traditional look and a strong naturalistic appeal. An array of five colors, realized with high definition graphics, brings residential and commercial buildings the tasteful comfort of wood that will endure. Wood’s attractive appearance remains popular, and can be enjoyed with easier maintenance and greater durability with these tiles. The rich colors work for floor and wall applications. Like wood, you can install it in side by side plank formation or get creative with a herringbone pattern. The new styles of wood plank ceramic tile allow you to easily create a unified look in your home by laying it throughout. This specific style of planked tile is not designated solely to “wet” areas like kitchens and bathrooms. You will find that it looks just as fabulous in such places as the living room or even the bedroom. Think about it. What style would YOU choose? Is wood grain tile too “fake-faux” or is it “modern-fab?” Have you installed a wood style tile in your home? We’re curious what you think. Please share your thoughts & experiences!